Newly advanced, this multi-tasking, fragrance-free moisturizer delivers therapeutic natural ingredients to provide relief and long-lasting hydration for sensitive skin. Awarded the National Eczema Association Seal of Acceptance. Natural Japanese Indigo extract calms and soothes skin, now included at a higher concentration for increased efficacy. Colloidal Oatmeal, a FDA-designated skin protectant, helps relieve minor skin irritation and itching caused by eczema and rashes. Hadasei-3, a trinity of anti-aging Japanese superfoods, restores a healthy-looking, youthful radiance. Ideal for all skin types. Formulated specially for sensitive skin showing signs of eczema, dermatitis, rosacea or allergies. Dermatologist tested. Non-comedogenic. Non-irritating. Non-sensitizing. Parabens, mineral oil, sulfate detergents, phthalates, urea, DEA or TEA. Fragrance-free. Scoop a pearl-sized amount of cream with the gold spoon. Massage gently onto face, neck and decolletage in upward strokes. Use daily, morning and night. 100% of women demonstrated an improvement in skin texture. 100% of women demonstrated an improvement in skin roughness. 100% of women demonstrated an improvement in skin redness. The Indigo Cream is rated 4.6 out of 5 by 89. Rated 1 out of 5 by Elle1 from Not effective with eczema as original I have to echo the ratings and feedback of the previous customer. 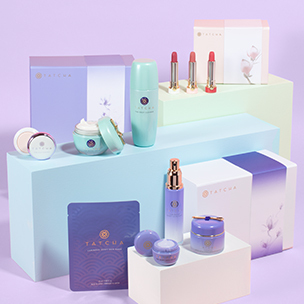 I became a Tatcha fan because of the Indigo line. This is not effective with eczema skin. And I have doubts if this current formula received the same National Eczema Association Seal of Acceptance as the original. I was also dismayed to see the Indigo butter is sold out and I'm afraid that they'll change that formula, too. I just think that Tatcha is losing it's way and it's hard to get behind this brand anymore. The Silk cream and Indigo line were the stars in their lineup and I don't understand why they changed the formula instead of increasing the skincare line. Rated 5 out of 5 by Anonymous from Finicky skin savior My skin cannot wear 99% of the moisturizers out there on the market. I get hives, breakouts, redness, burning, you name it. I saw this at Sephora and was intrigued. Then I started to see Tatcha everywhere I went- online, in magazines, etc. So I went online and decided to buy the travel size. This cream feels so silky on. I love that it's blue, but the color immediately fades away as you spread it on. My skin now looks plump, glowy, and healthy. It wears well under my CC cream, which used to irritate me once in awhile, but with this under it, no longer. No irritations have come along to haunt me. I am investing in the full size immediately. Rated 3 out of 5 by Rebles from Pricey, good product, but not enough!!! I just bought this cream three days ago and I have been loving it! Cleared up dry patches and red spots from my seasonal allergies and hydrated my always dry face in the height of Arizona sun. On the third day of using it I noticed a little bubble in the cream. Curious, I dug down to see how far it went. Take a look at the pictures attached, the bubble is about 1/4 of the bottle!!!! For a product as pricey as this one, I expected to receive as much as I paid for, not a cream that is 25% gone upon the first three days of use....good product but honestly disappointed that the packaging makes it seem like you get a lot and you end up with way less. Rated 5 out of 5 by Anonymous from A Miracle! Six years ago I literally became allergic to everything. Head to toe itchy body rash that would not go away. I finally went to a dermatologist that tested me for everything and low and behold I was having a severe allergic reaction to everything. I have to wear gloves when I cook, can’t clean my house, can’t wear makeup, moisturizers etc.… I discovered this product about a month ago. It’s been a few weeks now and my skin looks and feels amazing. I have had no breakouts. I feel like it’s a miracle. I look forward to putting on your products everyday—makes me feel like a woman again. I will never be without Tatcha. It has been a life changer for me. Keep up the good work! Rated 5 out of 5 by Tami from Getting Me Through Chemo! I was recently diagnosed with cancer and just began chemo treatment. The steroids I have to take to prevent reactions cause my cheeks to turn hot, super pink, and blister. I use this wonderful cream on my cheeks to calm this down and in less than two days, my skin looks as if nothing happened. I've gotten smart and now I use the cream on my cheeks before I take the steroids. The only skin care I use is Tatcha. I never knew I'd need this particular cream for this reason, but it's definitely in my battle kit! Thank you Tatcha (and thank you for the kind notes and the beautiful amulet for good luck!). Rated 5 out of 5 by LexiJean from The VERY Best My aging, dry, sensitive, breakout prone, flaky skin is now smooth, clear, soft, intact and even my pores are less noticeable. This is truly a miracle cream. I have tried almost everything for so many years. I was having so much trouble wearing foundation. My skin was terribly flaky. I tried this and at first used WAY too much. It takes such a little amount to cover my entire face and neck. This is an amazing cream and I never want to be without it. Thanks for providing the travel sizes and for all the gifts and promotions. I like many of your products, yet this one is ESSENTIAL for me. Thank you for transforming my complexion. Rated 1 out of 5 by EleniHB from Disappointed Too bad Tatcha had to change another great moisturizer. First the Silk cream, now the Indigo cream! This newer version isn’t nearly as effective on eczema. It also doesn’t have the emolience the necessary for eczema prone skin. This soaks right into the skin. They should have brought this in as a new day version and kept the previous version for the evenings. So disappointed! The silk cream was amazing also, and they went and changed that formulation as well. I will now have to change skincare lines. It was good while it lasted! Rated 5 out of 5 by Ines from Holy grail! I have super sensitive skin that is prone to dermatitis and dryness. I have used many moisturizers in the past that have claimed to be great for sensitive skin but to no avail. I used the older formulation of this when it used to be purple and pricier (still worth every penny in my opinion). This formulation is interesting. It's on the light slide but it has the slip of a heavy moisturizer but it feels light on the skin. I absolutely adore this formulation! It was excellent before but it's even better now. I find myself using less of this than before but I get more hydration. Since using this moisturizer I haven't had a single flare up or dry patch. Excellent product! 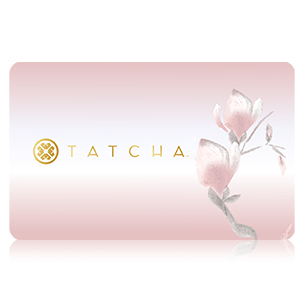 Forever your customer Tatcha! Hello... a woman at my local Sephora suggested that this cream would be more hydrating than the silk cream. Do you agree? Keep in my mind I have combo (but more dry skin). Thank you for your question! The Indigo Cream is for skin that is prone to irritation, redness and inflammation, rosacea, eczema, psoriasis, or dermatitis. This formula was designed to work on all skin types that also have the aforementioned sensitivities. It is fragrance-free, and rich in indigo extract, colloidal oatmeal and sophora japonica extract, which calm, comfort, and restore skin's natural resiliency. The Silk Cream is a unique gel/cream hybrid texture that feels lightweight, but packs a big punch of hydration. 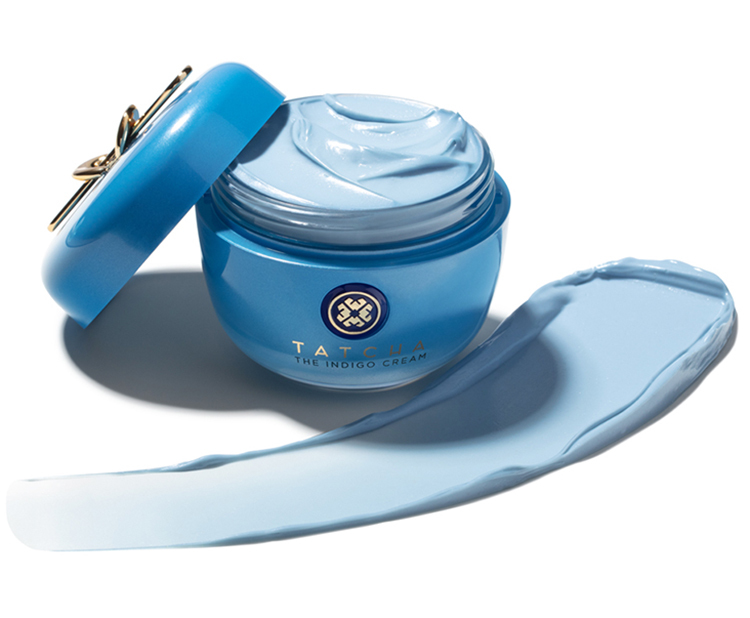 It contains a liquid silk and pearl protein, which parallel the amino acid structure of youthful skin, forming a veil of moisture that balances and smooths. If your main concern is to balance and hydrate combination skin that leans dry, we would suggest this formula for the best results. We hope this helps! What does the National Eczema Association Seal of Acceptance mean? The NEA is a not-for-profit organization committed to improving the health and quality of life for individuals with eczema through research, support and education. The Seal of Acceptance program is part of the NEA&rsquo;s education mission to increase understanding of products and ingredients that are suitable for people with eczema and other severe sensitive skin conditions. The NEA provided its seal of acceptance to The Indigo cream, confirming it does not contain ingredients known to irritate sensitive or eczematic skin. Does this cream have any sort of fragrance? Great question! This treasure is formulated to be fragrance-free. Can this be used under makeup? I have oily skin. Can I put makeup on top of it? Yes, we recommend allowing the cream to absorb into the skin first, and then apply makeup. For sensitive or irritated skin, use twice a day, in the morning and evening after cleansing. It may also be used as a night cream to soothe and hydrate all skin types. Is this moisturizer good for combination and acne prone skin? Will this make me break out if I have oily skin? No, this cream has been clinically tested to be non-comedogenic, meaning it will not clog pores. It is also fragrance free.